Throughout the ’30 Day Challenge’, it is going to be important to take some time and rest. One of the most tragic things you can do in your life is to ‘run on empty’. Unfortunately, our culture nurtures busyness and consumption in such a way that we cultivate a full throttle life. Burn out is sure to follow. We burn the candle at both ends. Joy leaves our work life and our home life. Some days even breathing seems like a chore. We were only given 24 hours in a day… and seven days for the week. Truth be told… only so much can be done in that period of time. Sometimes we respond to the time we have been given creating a to-do list that is meant to organize and simplify our lives. As with the material things in our life that can become cluttered… so can our more surreal aspects of life… like time. We can over-schedule ourselves. Just as we pack every nook and cranny in our home… we can allow no room to exhale in our moments. We were not meant to live this way. What makes me feel exhausted? Where do I feel rested? When was the last time I stopped and played? Do I need to take a nap today? Will I be ok with letting go of the ‘to-do’ list for a day? and then do it? 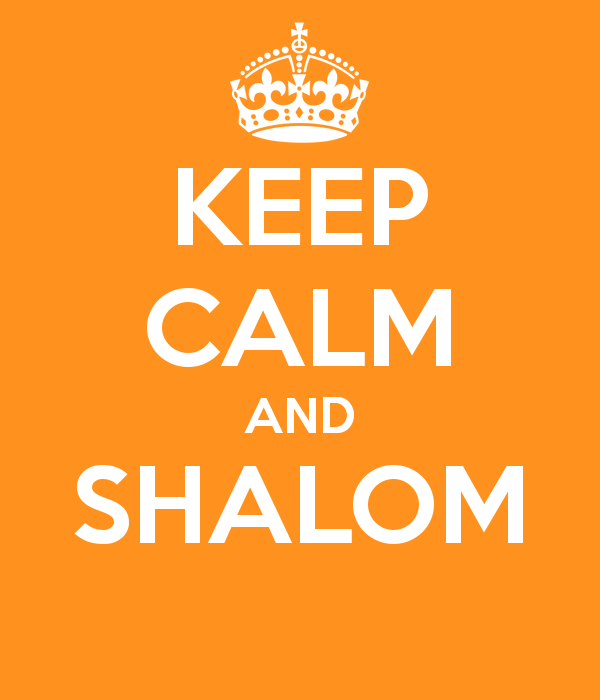 Shalom, like many Hebrew words, has more than one meaning.Shalom means peace, and is rooted in the word שלם (shaleim), which means completion. Without peace, there can be no completion…Without completion, you may be tempted to do… and consume more. Just relax for a day.